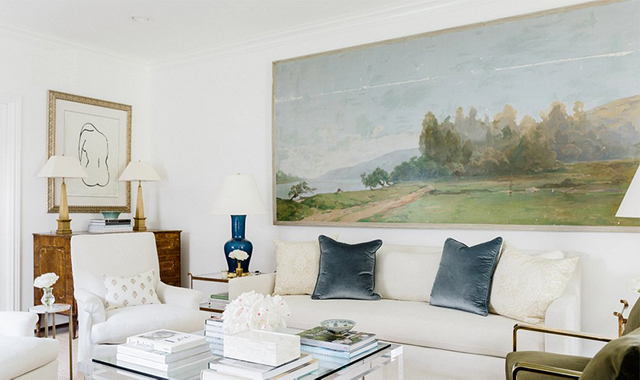 A key piece of art can completely make a room. 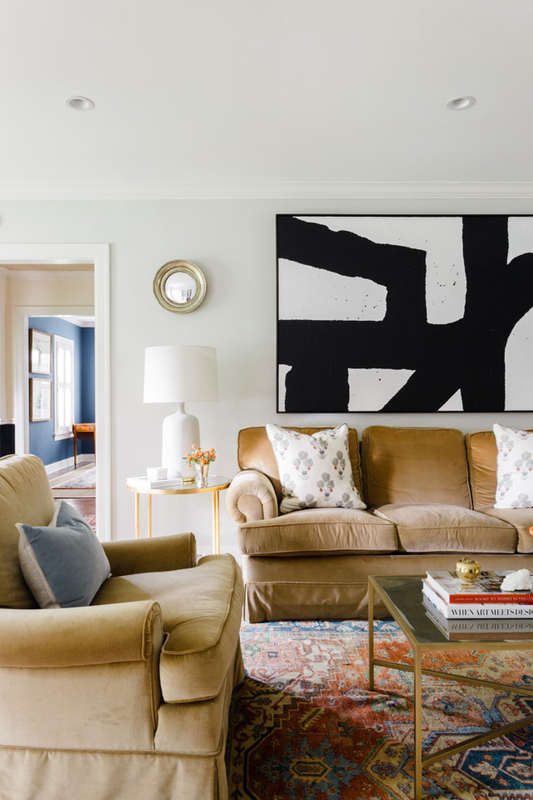 In the examples above Paloma has chosen to include one main oversized piece that not only draws the eye in, but can also set the stage for the color palette as well. 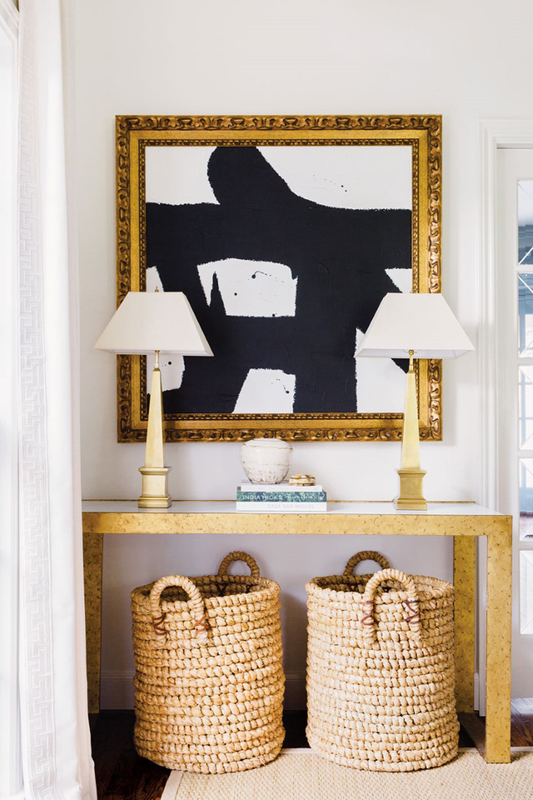 Flanking the art with convex mirrors or a nearby petite drawing adds interest and a layer of sophistication. So chic! 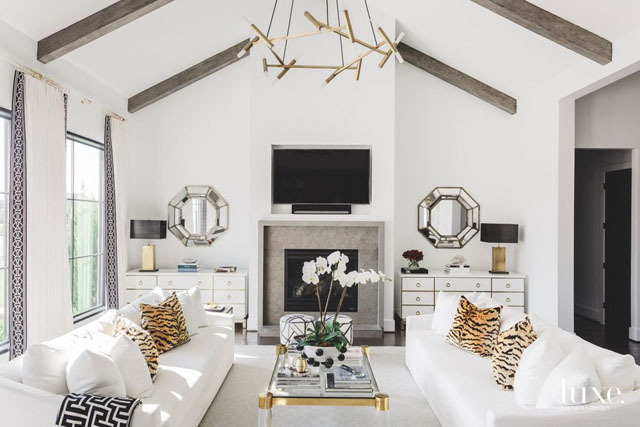 I love this one, because a console is a perfect spot for a decorating ‘moment.’ A grouping of the perfect objets can be both pretty and practical. Lighting for the evenings, baskets for storage, artwork or mirrors, stools to be pulled out when needed, the list goes on and on! And the symmetry in many of the examples above gives a pleasing spot for the eye to rest in a room. 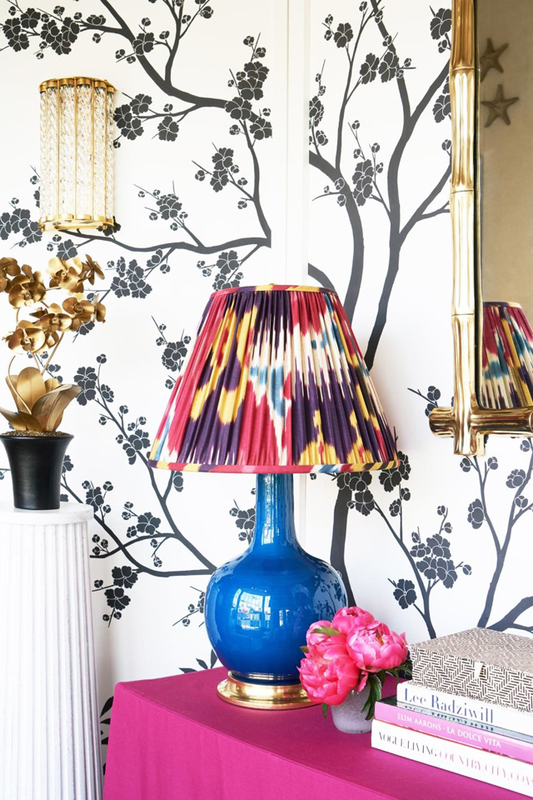 Well this one speaks to my heart, because we know maximalism is back in a big way. I love that Paloma very carefully selects a few key patterns and colors to let them sing. 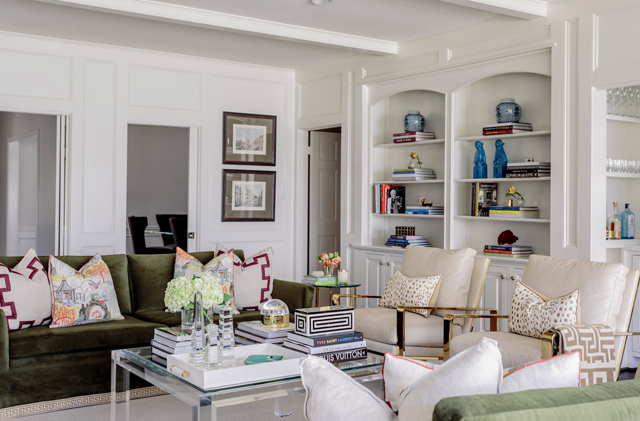 Velvets are a favorite choice of hers, and colors range from soft blues, moss green, and glorious pops of pink. 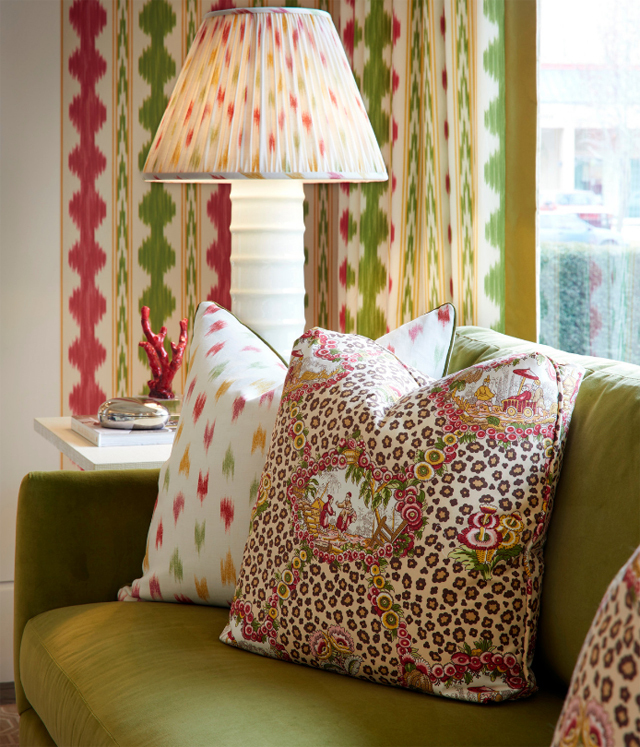 We know she loves a good ikat, and the wallcovering in the Brunschwig & Fils showroom she created displays that love. 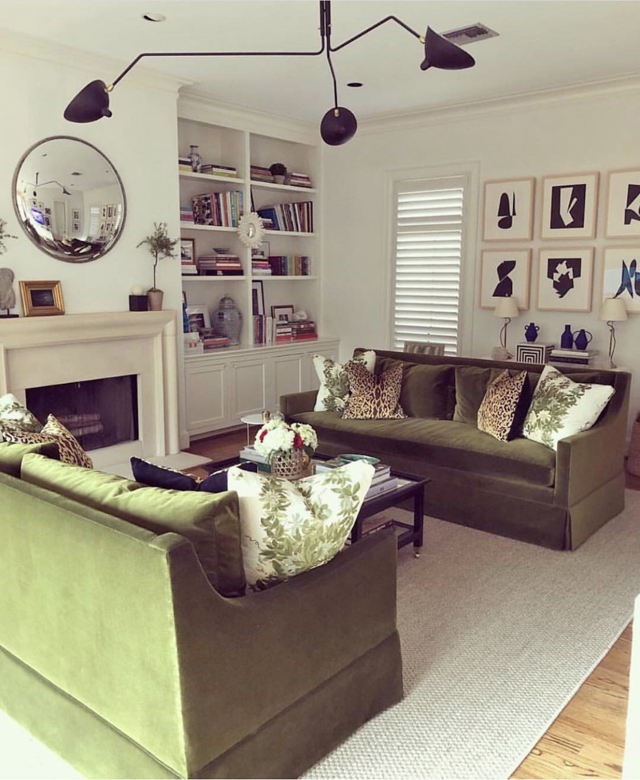 Another obsession I’ve had is the wonderful addition of pattern through a pleated lampshade, it’s a stunning way to bring in more color & texture. 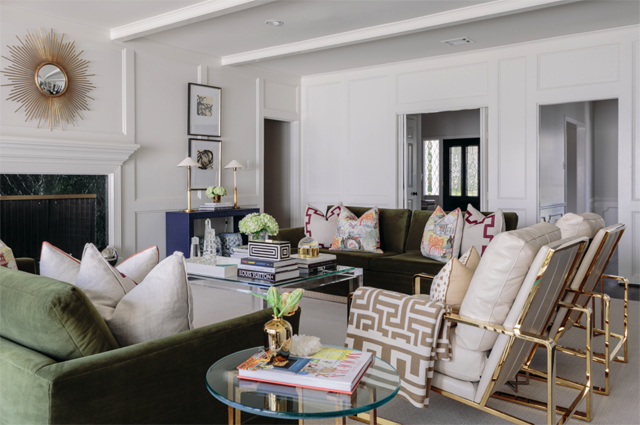 If you look back to all the living rooms in this post, you’ll easily note that the furnishings are of very classic and timeless shapes, colors, and silhouettes. 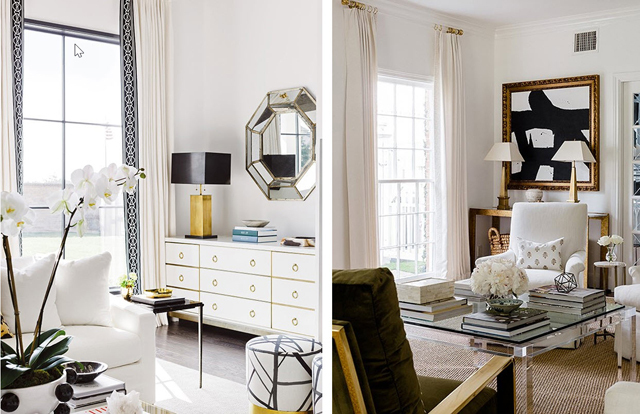 Many of these styles have been around for decades, if not centuries. 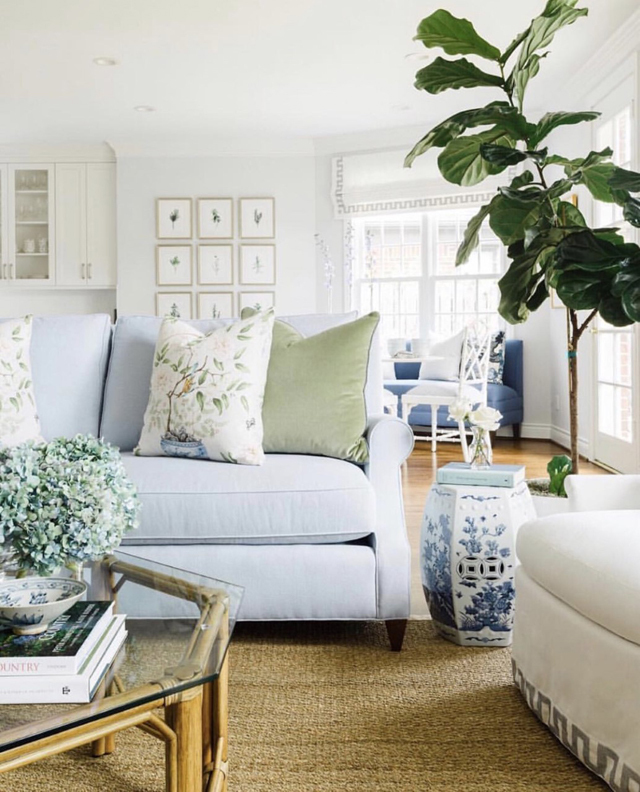 These spaces will stand the test of time because of that key feature, and when we are spending our hard earned money on a space we want to love, that is such an important detail not to miss. The results speak for themselves! I loved this post! it was a nice curation of Paloma’s work and I liked how you noted the various elements of her style.